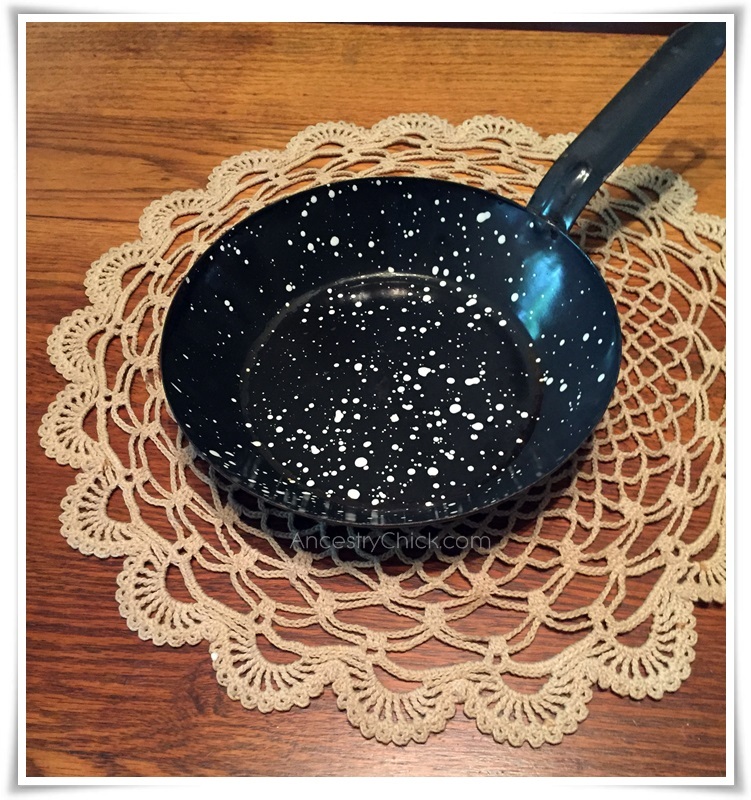 For this week's Tuesday Treasures feature I'm spotlighting a simple little speckled enamel frying pan. It's not much to look at really, but it is something I truly treasure. This little frying pan belonged to my great grandmother, Della Mae (Swinford) Kephart. Grandma Kephart was born in 1888 and died in 1976. She is the only great grandmother I ever knew--although my only memories of her are from phone calls and letters. I wasn't yet ten years old when she passed away, and I don't recall ever meeting her in person. So if I did I was much too young to remember. But she did write letters and send cards, and she did call from time to time too. I still have a bracelet that she made for me out of old buttons in my jewelry box. Perhaps I'll share that another time. This pan though, it's special. I inherited it after my grandmother, Della Maxine (Kephart) Hammersmith died in 1989. She was my 'Nana,' and I had grown up with her, so there was a special bond there. 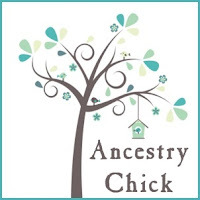 Nana was also the first person in my close family that I had ever lost, so that was a tough loss on many levels. I'd never really known grief until Nana died. I was 22 when I lost her, and looking through all of her belongings seemed so odd. My mom and my grandfather, Pappy, urged me to take some things to remember Nana by. That was a difficult thing to do for lots of reasons. But one of the things I did take was this little frying pan that I'd seen on Nana's stove many times. My mom told me that it had belonged to my Grandma Kephart, and that she used to fry eggs in it. It was her egg-frying pan, and my mom knew that because she was incredibly close to Grandma Kephart, so she'd seen her use that pan even as a little girl. That made it a perfect choice, a special keepsake that my great grandmother used, and so did my Nana. This little speckled enamel pan has been sitting on my stove ever since Nana died in 1989. I use it as a spoon rest. I don't even know exactly how old it is, but it's got to be at least 60+ years. I think it's holding up very well for its age. To other people who look at it, they likely just see an old pan. But I see a timeless and priceless treasure that has belonged to two other generations of women on my mom's side of the family. And that's kind of wonderful.